Nothing beats speaking as part of a panel on the 38th floor in midtown Manhattan, overlooking the Empire State Building, with a beautifully clear evening outside as your backdrop. Except maybe a selection of a few craft Belgian beers that you can’t buy anywhere in the US, I suppose. That was the setting for the recent “Storytelling Like an American” event, jointly hosted by the European-American Chamber of Commerce NY (EACCNY), BelCham and Flanders Investment and Trade (FIT). I (Cameron Heffernan) was pleased to join a panel with Lisa Patti, owner and founder of AccentC3, a communications consultancy in New York City, and Thierry van Landegem of MLAB Ventures, who served as moderator for the storytelling session. 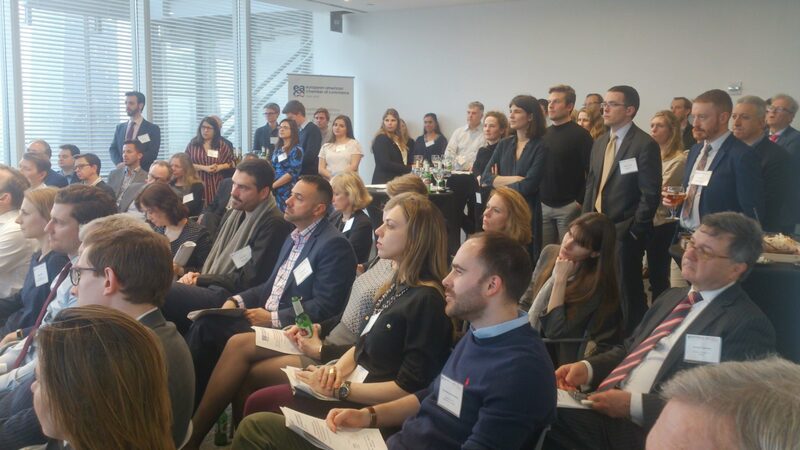 Interest in the Storytelling topic was tremendous at the sellout event, with more than 100 people cramming into the sizable room in the office of Flanders Investment and Trade in New York. European and American storytelling are different. There are no “right” or “wrong” approaches when it comes to storytelling in the US or Europe. The approaches are often just a bit different. As a corporate communication and marketing tactic, storytelling in the US can often be a bit shorter and more focused on the direct outcome. You’ll often hear Americans in the marketing field talk about the importance of delivering key takeaway for audiences (including customers). European storytelling can often be a bit longer and more elaborate for a narrative to run its course but, in the process of getting there, tells a more detailed story that can often focus more on the journey and the emotions versus just the outcome.We shouldn’t paint all US and European storytelling tactics and styles with a single brush. And, these days, storytelling approaches are becoming more similar than they ever were in the past, due to increasing globalization. Native English speakers are maybe the world’s worst communicators. As covered in a BBC piece from a few years ago, those who speak English as their mother tongue need to step up their game if they want to communicate and work effectively with their European counterparts, for whom English is the lingua franca and maybe a second or third language. Banish obscure acronyms (OOO for out of office; ETA for estimated time of arrival, for example) that are employed mainly for laziness but can lead to ambiguity from those from different language backgrounds. Use simple, straightforward words to convey your point, rather than those that merely enable you to show your expertise as a writer or subject matter expert (walk around rather than perambulate, for example). Speak slowly, especially on a conference call with others who don’t speak English natively (I always have to remind myself about this one). And use examples or reference points that make sense globally, not just in your own backyard. The shot clock is running down (basketball; time is limited)These give color to everyday life and keep things interesting. But to non-native speakers who aren’t as familiar with them, such sports references and examples can be confusing. Keep it simple or explain what you mean so there is no uncertainty. How can companies make storytelling effective. Make your content engaging and interesting, not self serving. This maxim holds true in Europe, America or Timbuktu. If most of your content (be it Social Media, video, blog posts or press releases) is about how great your company or service is, it will be very tedious for your audience, very fast. For all the content you produce, ask: “Why would anyone care enough to read/view/consume this?” If you can’t answer that affirmatively, it’s time for a different approach. For European companies seeking to communicate with American audiences or customers, it’s important that the content “feel” relevant and pertinent on this side of the Atlantic. If you don’t know the American landscape, style or cultural or business references well enough to generate content that Americans can relate to, work with a content partner like Mach Media to craft it so it fits. Need help telling your story? We can help. Contact us now to learn more.